Our reputation in the market is largely attributable to our precisely designed Urinal Bunk Bathroom. 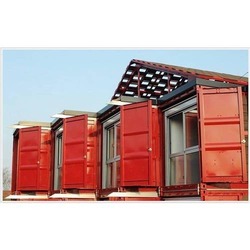 Cuboid is one of the reputed names of the market that offers portable and spacious Modular Toilets that is designed and manufactured by our experienced professionals. Housing complexes, malls, resorts, offices, society housings are some of the application areas of these robust and transportable toilets. 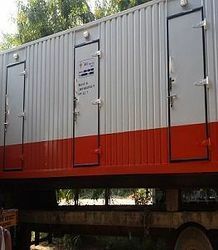 Our customers can avail these lightweight modular toilets at industry leading rates. - No need for Water or flushing: water saving of approx 1 lac litres per household per year. We are one the leading manufacturer and supplier of Portable Toilet with the high-quality of material used as per the standards. COLOR- LIGHT GREEN, Size : 36 x 40 x 42 Cm Height.